29th October 2009. Over 27 New Products added to the Shop, Dave Cornthwaite's Blog Page, New Fishing Regulations in WA, and a Revised Trek - Matilda Highway. This week you'll find 27 new products have come onboard to the ExplorOz Shop including great new titles from Woodslane Publishers, whose books cover activities & walks to do in Brisbane, Sydney and Melbourne including where to find the best rock baths, picnic spots and beaches. 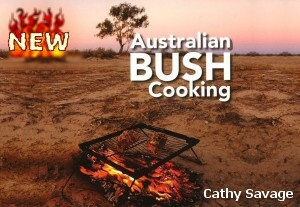 The impressive new edition of Boiling Billy’s Australian Bush Cooking has come in too and looks excellent value, featuring sensational photography and recipes that are just mouth-watering. For enthusiasts or newbies, you can't go past grabbing Season 1 DVDs of "Pat Callinan’s 4x4 Adventure’s". 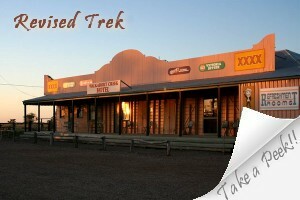 Full of iconic destinations Australia-wide, these are certain to inspire the desire to get out there! DVDs are available in a 6 disc box set or buy individual episodes:-Cape York, Coffs Coast, Fraser Island, The Gulf Country, The Kimberley, and the Victorian High Country. Ron and Viv Moon’s Adventurers Guide Series now features a new title, "Across the Bight and Nullarbor". In typical fashion, this author goes beyond the main routes and provides insights to guide you to hidden treasures you'd never find on your own. A must-have guidebook!The Australian RV and Caravanner’s Guide, and Grey Nomad 101 DVD are perfect for planning your travel set-up and are also in stock now! Get in quick before the Christmas rush and experience hassle free shopping at the ExplorOz Shop. The Great Big Paddle is the latest adventure project for British chap Dave Cornthwaite, who is one of our international Members. Dave is paddling 9000 miles in two years to raise funds for the AV Foundation, and along the way he hopes to actively encourage and inspire people to take up a sporting hobby and care for the environments in which they play, train and explore. You may remember Dave a few years back when he skateboarded across the Nullarbor! The Australian leg of his latest adventure is currently underway - a kayak paddle along the length of Australia's longest river, The Murray from source to sea. Follow his adventurous journey via his ExplorOz blog, containing regular updates. These also contain links to many hours of YouTube documentary updates, which are highly recommended viewing! (see if you can spot the ExplorOz sticker!). ExplorOz has sponsored Dave by providing numerous bits of specialised equipment to help support the logistics of his journey, including all the Murray River Access Maps, waterproof map case, Nalgene Storage Jars, Trek & Travel Washes, Shotz Sports Bars, Gels and Electroylyte Tablets, ExplorOz branded clothing and stickers, plus a trash sack, dry sacks, a trekking umbrella, pillow, a pocket towel, and see pouch. Now that's doing it the ExplorOz way! If you live outside of WA you may not be aware of new fishing regulation changes, which have now come into effect. If you're travelling here and intend to do a spot of fishing, from shore or boat, you'll need to know the new rules. Essentially, there is a total ban on the take of ‘high risk’ demersal fish by recreational fishers in the West Coast Bioregion from 15 October to 15 December, inclusive. Our WA Fishing Rules article explains all you need to know. Considering a trip to Fraser Island? Go byManta Ray barge for the best, and most affordable experience. There's no excuse to put up with cold showers when camping, not when you can setup a Helton Heat Exchangers hot water system in your vehicle. Not sure what fridge to get? Evakool is a brand you can trust to stay cold in all conditions. This is certain to inspire you to try new things! Our newsletter is distributed to 41,343 subscribers on a fortnightly basis.